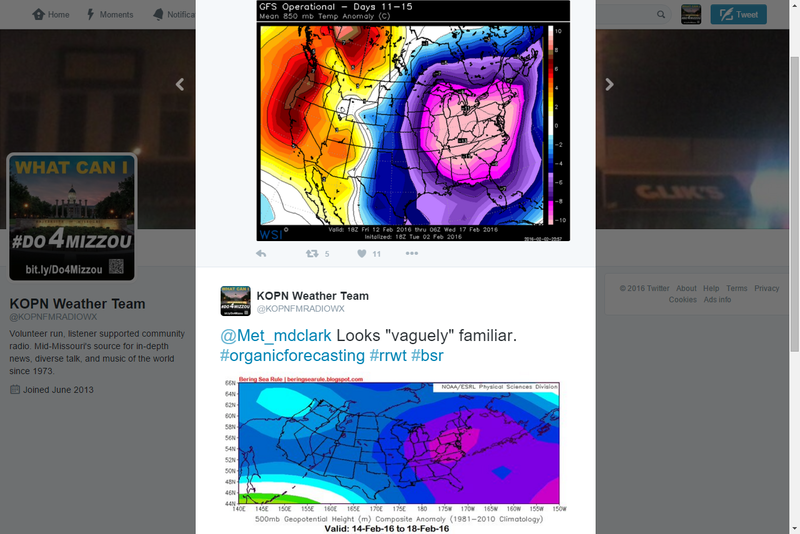 Below you see a tweet regarding the BSR 500mb forecast for the period of February 14th-18th. That forecast was made on February 2nd. Look below for what happened during that time period. Admittedly, the Rockies and West Coast did not perform that well. That being said...the East Coast and Northern Mid-Atlantic was nailed. Severe Weather? Say It Isn't So! showed towards the middle my thoughts on the President's Day severe weather. APPEAR SUPPORTIVE OF HIGHER-END SEVERE POTENTIAL. AIRMASS IN PLACE E OF THE ROCKIES...SEVERE RISK WILL REMAIN MINIMAL. Both times they recognize that severe weather could be possible, but the risk are too low to be issued in the forecast. 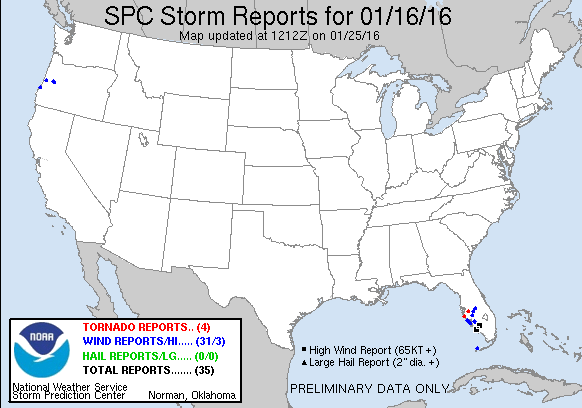 Here are the storm reports for the 16th.